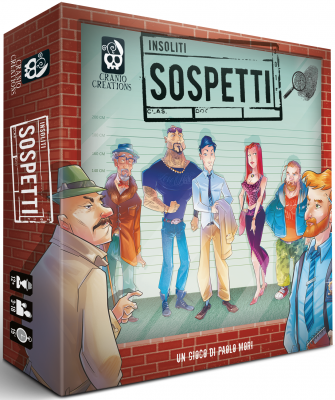 Find the best deal for the board game Unusual Suspects. The following stores have the game listed. The weight of the item is not known by BoardGamePrices.co.uk, so the shipping might be calculated differently in each store. All prices include VAT. The shown information is as reported by the individual stores. BoardGamePrices.co.uk is not responsible for any errors in the shown information. More information. Notify me, when the price is lower. The price shown can only be obtained with a discount code. Use the discount code Code here when ordering to get the discount. Here you can change your price display settings for BoardGamePrices.co.uk. By default the cheapest price is shown based on delivery with tracking to your door, paid by credit card. Some stores offer cheaper alternatives, which your can chose to have shown instead, if applicable. Allow shipping by letter (no tracking). Allow delivery to postal office. Allow delivery to an automated station. Allow delivery to your office address. If you would like to be notified, when Unusual Suspects is in stock, you can enter your e-mail here. We will send you a mail, once Unusual Suspects is in stock in at least one store. We will not use your e-mail for any other purpose than sending you this one e-mail. Only notify me, when the price is below a certain amount. Do not notify me for certain stores.